We are proud to announce the release of MagHub 6.2. 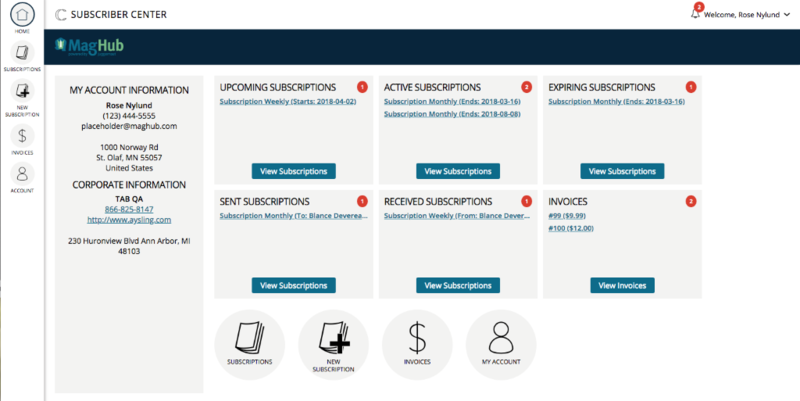 Below you will find a small handful of the many useful features and improvements made to MagHub, the magazine CRM and publishing workflow tool. Have questions, or are interested in learning more about MagHub? Click here to reach out to our MagHub experts. 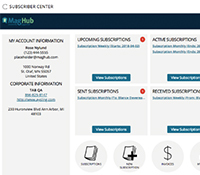 The beta is now live for our new MagHub Subscription Center, with a familiar look and feel of our Client Center Portal. Currently a MagHub user, and would like to be our guinea pig for testing the new Subscription Center? Submit a support ticket in MagHub and we’ll reach out shortly. In MagHub Release 6.2 we have expanded on the subscription renewal functionality by allowing you to set up automatic renewals. 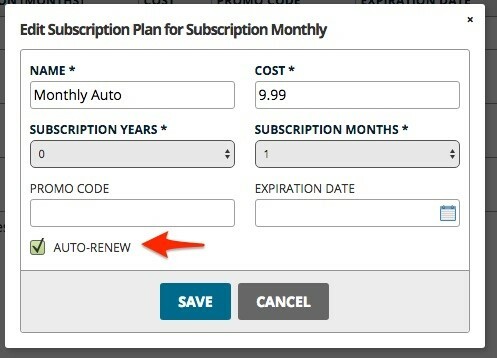 Essentially this means that your subscriber could subscribe month-to-month at a fee, and is automatically going to be renewed for that subscription until that subscriber notifies you to stop renewal. Along with this feature, notifications have also been added to automatically alert subscribers that their subscription’s about to automatically renew. In MagHub Release 6.2 we have added additional reports, and added functionality to our existing reports. One update added to reporting is the addition of fiscal calendar capabilities. If your fiscal calendar doesn’t align with the regular calendar, you can now filter the sales report metrics by your fiscal year. Also added is a new annual quarter sales report, providing you with high-level sales numbers that you can then utilize with other reports. Added to our reporting features is the pull by range report which allows you to quickly see all of the line items and orders that were deleted over a period of time, and reasons for those deletions. There has been a change on how invoice data is displayed in the MagHub system, to improve system performance and providing additional information to our clients. We’ve provided a high-level view of invoice data that you can click further into for a deeper dive into the specific details of each invoice item. Building upon MagHub Release 6.1, Release 6.2 has added additional filters to the personnel search, making it easier to create an editorial assignment for a vendor, and abilities to re-send out an agreement in case your personnel have not decided to accept the contract. As with previous MagHub releases, we’ve added additional information to our data warehouse, making it as powerful as possible. We’ve included cash and credit memo information to add to the payment and invoice information that’s already readily available in the data warehouse. Also added is additional information about digital sales by putting digital units in the data warehouse. Adding more information to the data warehouse, allows you to slice and dice your data however you see fit, using Excel and/or other business intelligent tools. Interested in seeing these new features/improvements in action? Click here to schedule your free one-on-one demo with one of our MagHub experts. Already a MagHub user? You can view the full list, with a deeper dive of improvements/features found in 6.2, under the Release Notes section found in your MagHub Help Center.